Conduct research on companies and individuals. Develop story ideas. Build a personal brand. LinkedIn can help journalists do all of those things and more, and SABEW’s next teletraining session will teach you how. We’ll do a deep dive with Yumi Wilson, a social media expert and former LinkedIn trainer, who will demonstrate the social media platform’s research tools and share best practices on how to use LinkedIn to build a brand. This intermediate-level discussion will be aimed at business journalists who already have a working understanding of LinkedIn and a desire to learn more. As a bonus offering, Yumi will do a follow-up, one-on-one tutorial with one participant selected from the April 9 session. Yumi Wilson is president of Journalism and Women Symposium (JAWS), a tenured journalism professor at San Francisco State University, social media expert, and former LinkedIn trainer. 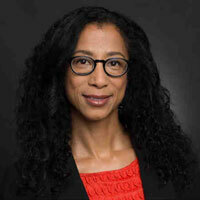 Her previous positions in journalism include deputy readers’ representative (ombudsperson) at the San Francisco Chronicle and reporter at the Associated Press and the San Francisco Chronicle. She is a recipient of a Fulbright research scholar grant and the Knight-Wallace Fellowship. Her research interests include multi-ethnic family life, diversity issues in journalism, and campaign finance.